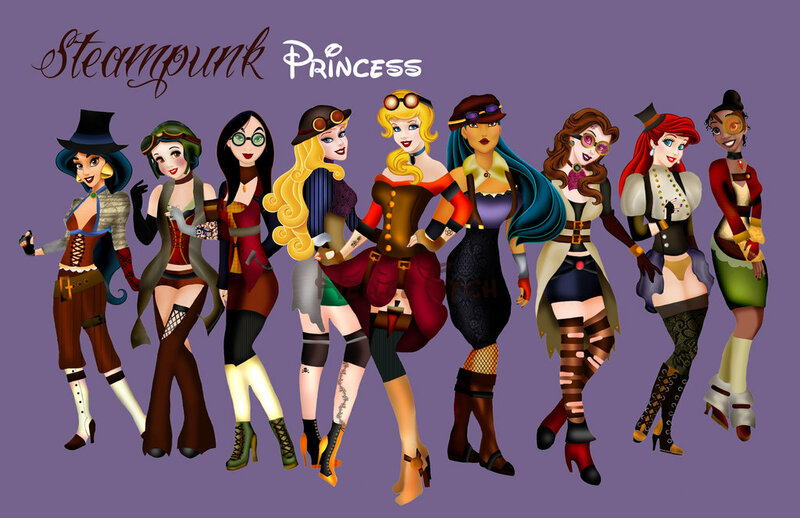 Earlier this spring the masterful Disney dream team created a new vision for the Disney characters: STEAMPUNK. 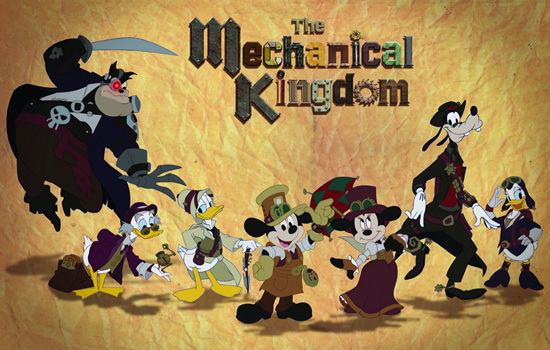 The Mechanical Kingdom! How clever is that?! I love Disney Imagineers, they are the smarts. You can read about the conception and the artist Mike Sullivan here. So these little characters are sold as pins separately, or you can get the big fancy set with a big fancy book. Supposedly they’ll be making vinyl figures (Vinylmation!) versions of these little buddies, and once they all their Steampunk vinyls are belong to me. Okay left to right: Jasmine, Snow White, Mulan, Sleeping Beauty, Cinderella, Pocahontas, Ariel, and that princess from The Princess and the Frog whose name I do not know. These are totally fun, although I’m not sure the Disney crew would approve of Ariel having no pants.